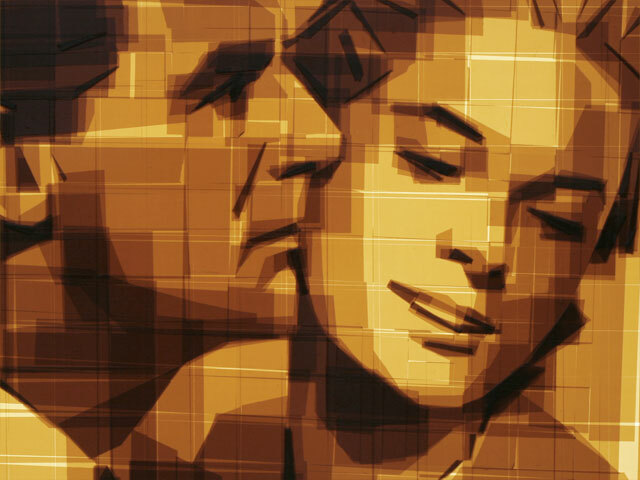 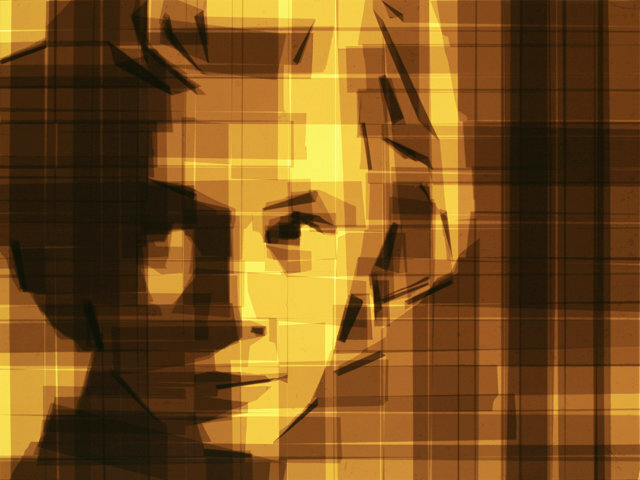 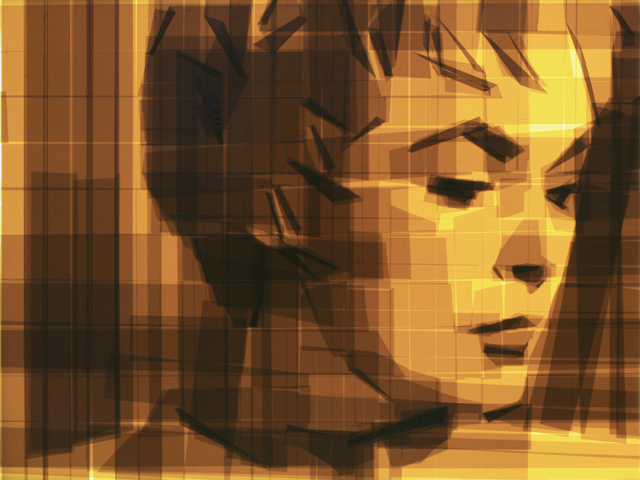 Rest your eyes on these amazing retro images made with Packaging Tape! 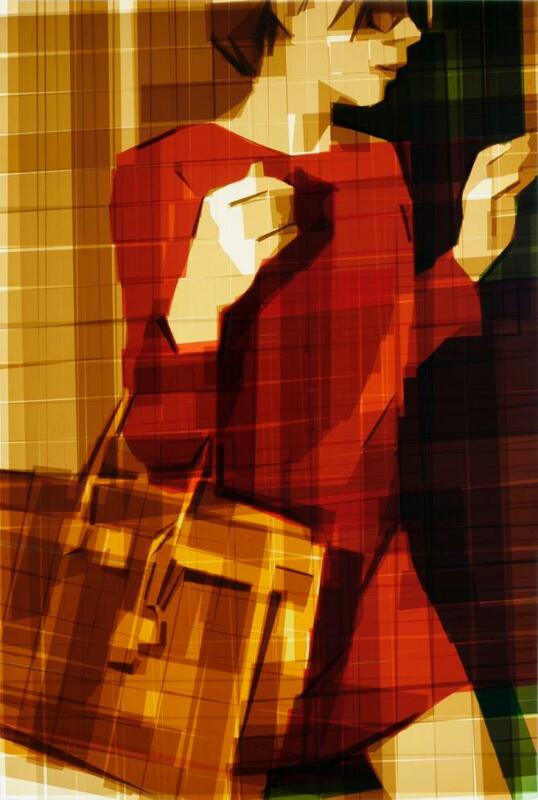 Khaisman studied Art and Architecture at the Moscow Architectural Institute in 1982. 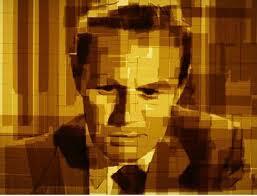 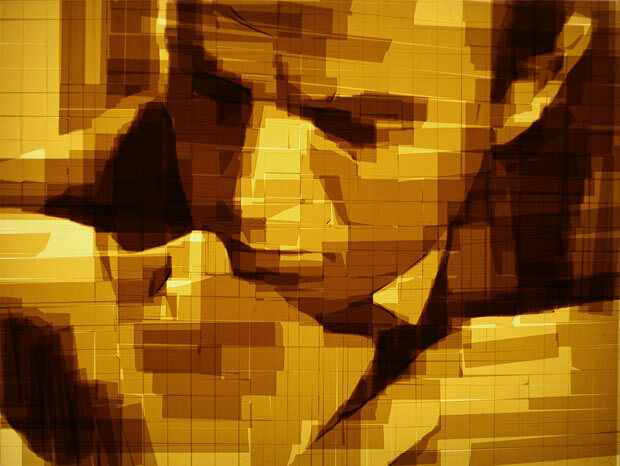 While in college he participated in number of international conceptual architecture competitions. 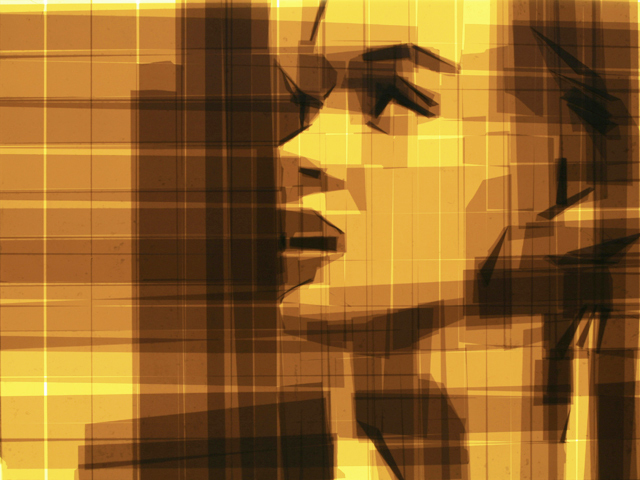 In 1983, he was accepted as a member at Moscow Artist Association, and from 1983 to 1989 he worked as a member at State Animation Studio as the art director for seven puppet animation movies. 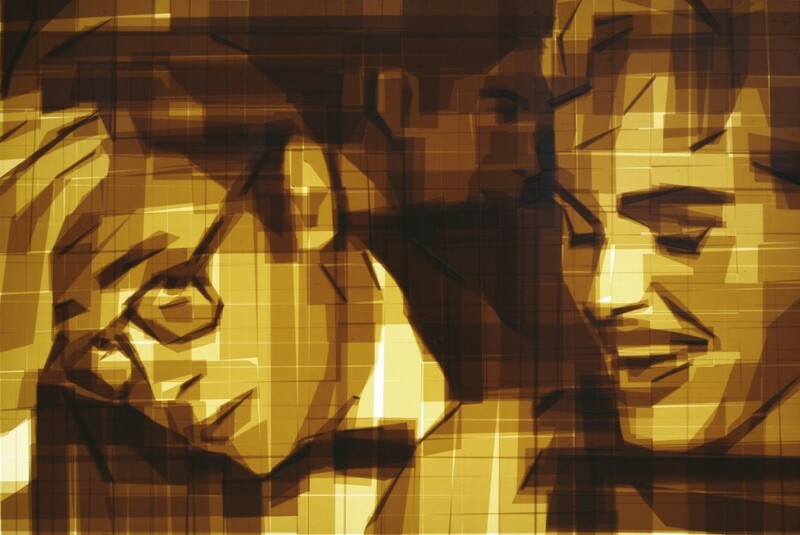 He teamed with Lev Evzovitch on his conceptual architecture and art projects; Evzovitch who later formed the art group AES+F. 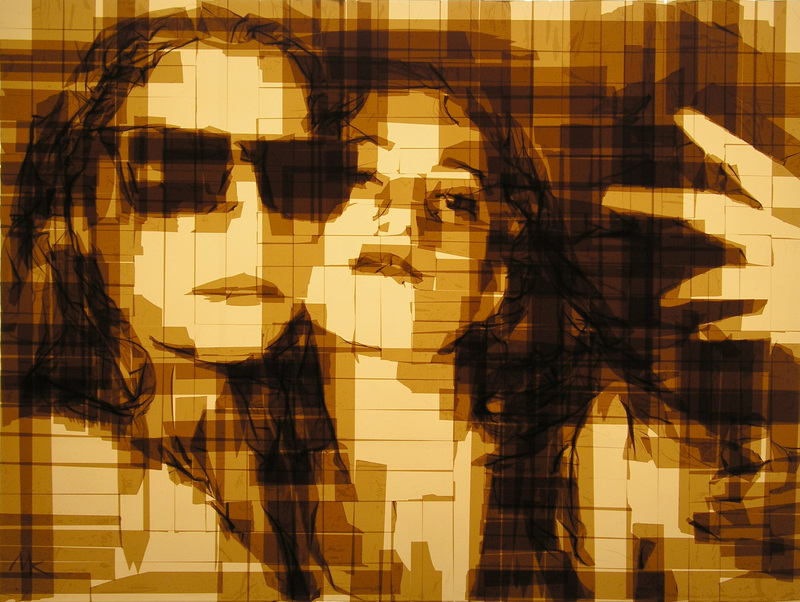 In 1989 Khaisman moved to US, where he worked as stained glass designer and architect. 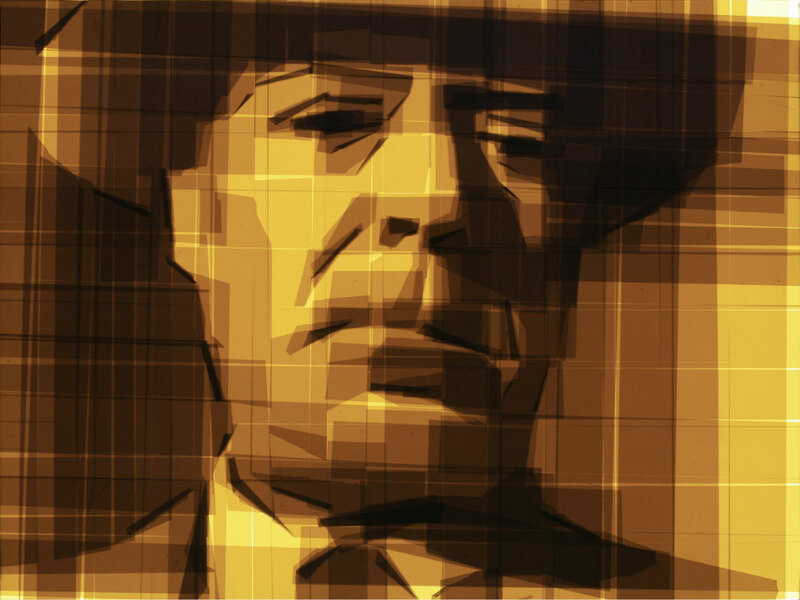 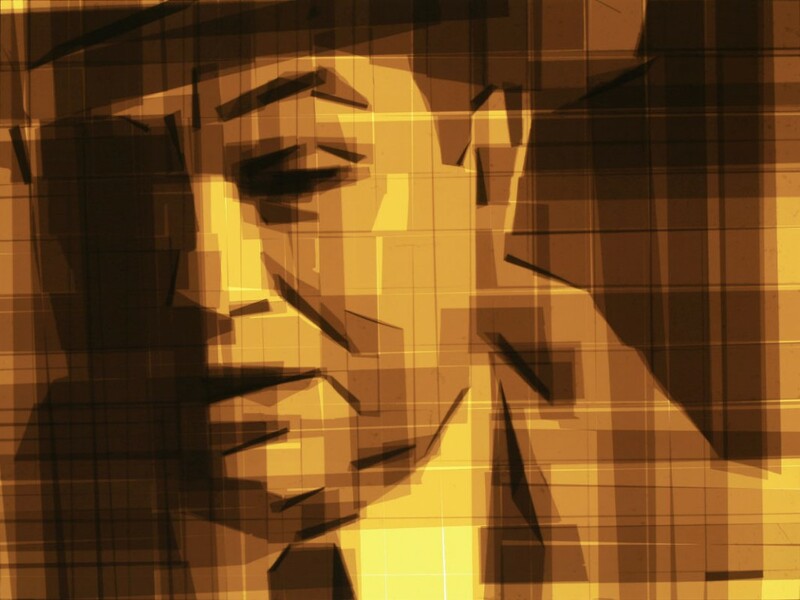 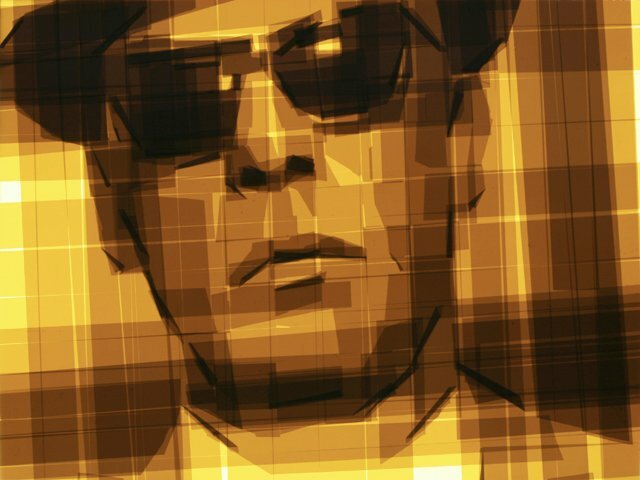 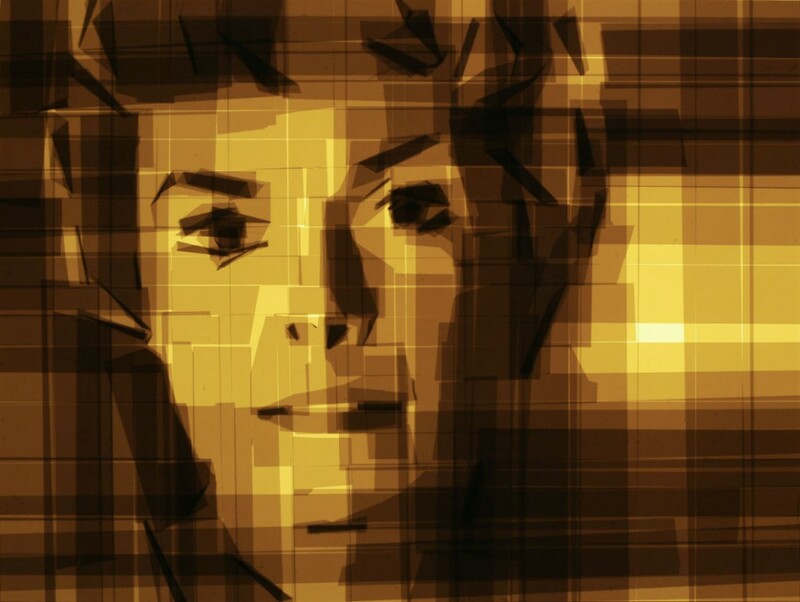 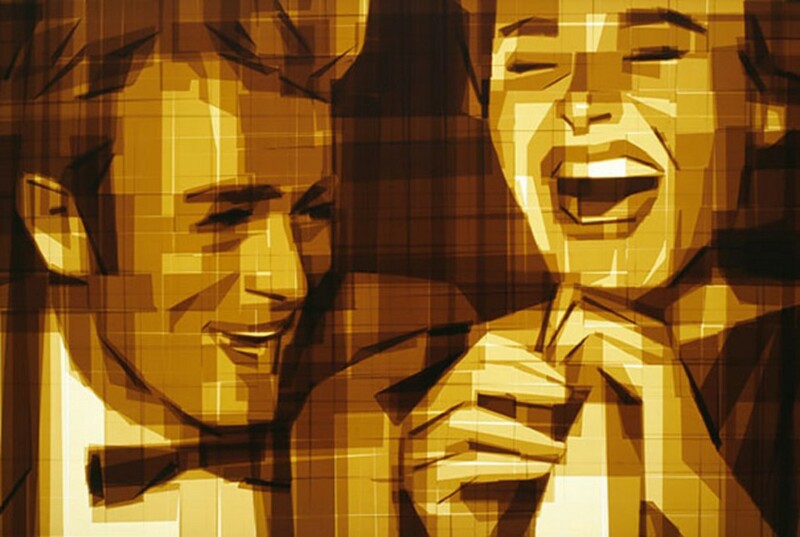 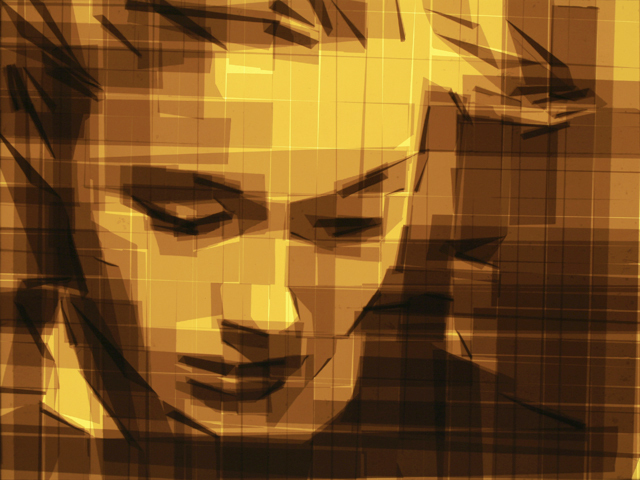 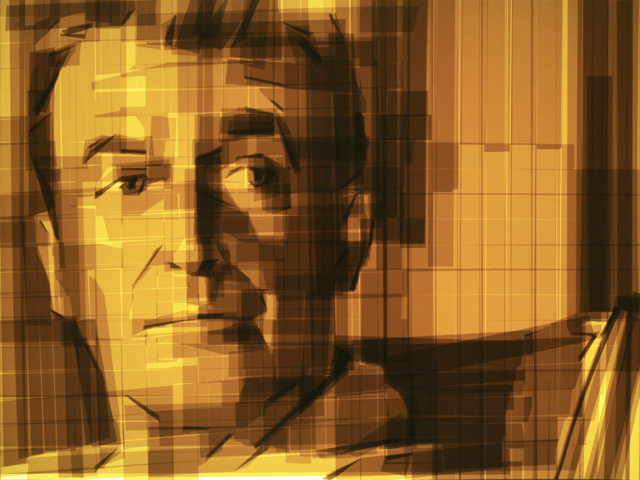 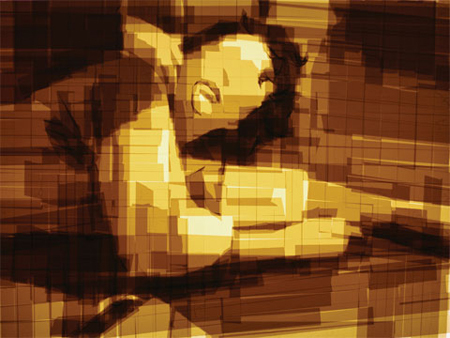 In 2004 he developed his own technique of using layers of translucent brown tape on backlit Plexiglas panels to create dramatic illuminations. 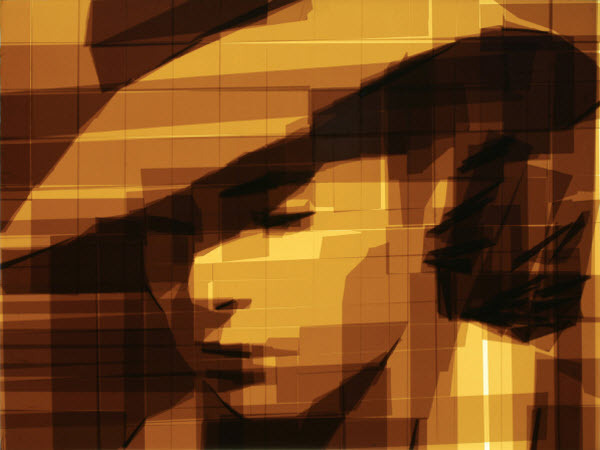 Mark Khaisman (Ukrainian: Марк Хайсман, born 1958, Kyiv, Ukraine) is a Ukrainian visual artist. 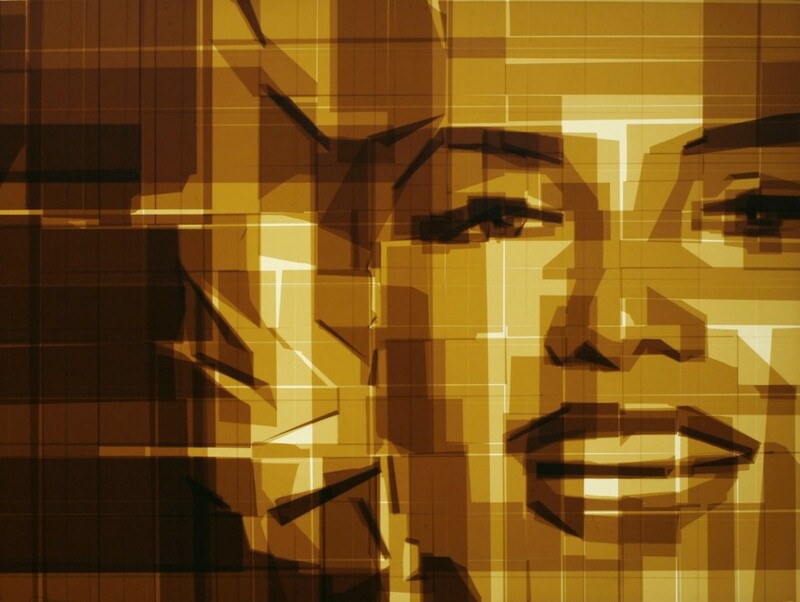 He creates his works by applying layers of translucent packing tape on clear Plexiglas panels, because he views tape as the most direct way of manipulating light. 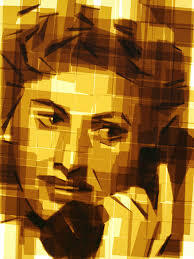 Khaisman’s subjects are often borrowed from art history, old movies, 20th century propaganda art, and his own photographs. 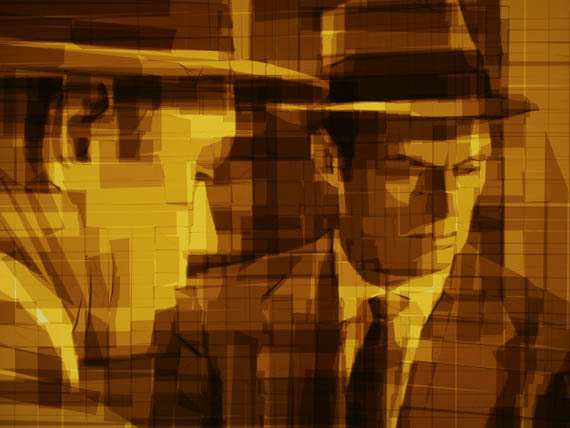 Mark Khaisman treasures the alchemy whereby a commonplace material is transformed into a fine art medium because he sees it as enabling him to deconstruct the hierarchy of culture by filtering it through association with mundane material. 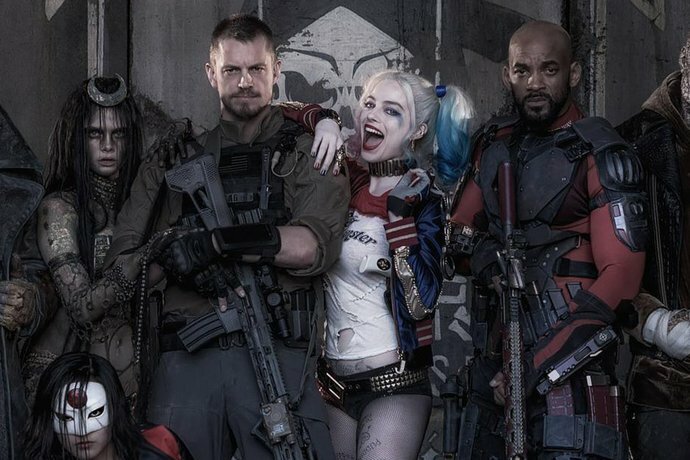 First Official Suicide Squad Cast Photo´s is here!